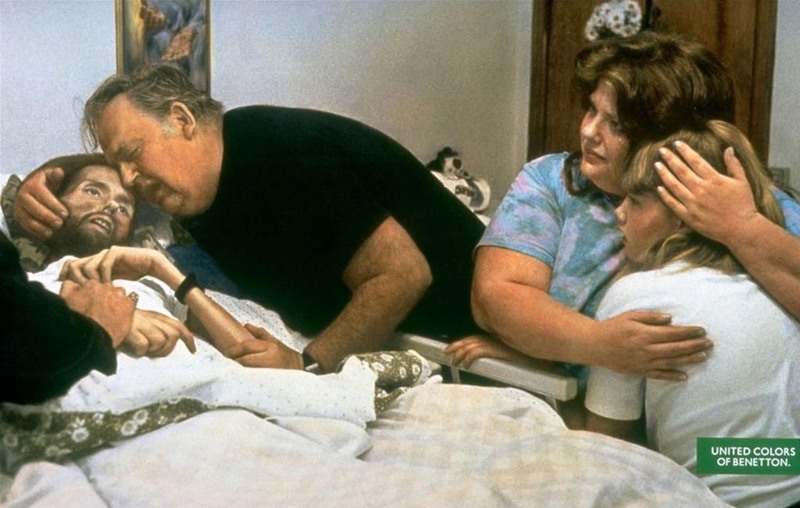 A father comforts his son, David Kirby, on his deathbed in Ohio, 1989. 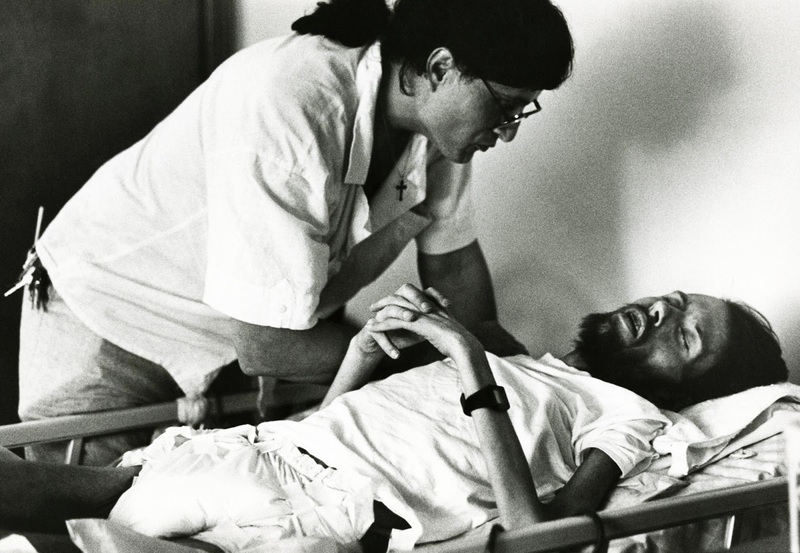 This picture is widely considered the photo that changed the face of AIDS. It showed AIDS victims as humans and people with families. The biggest opponents of doing anything about AIDS, anything at all, were conservatives trumpeting family values. This picture showed that HIV has everything to do with family values and to have family values you have to value families. 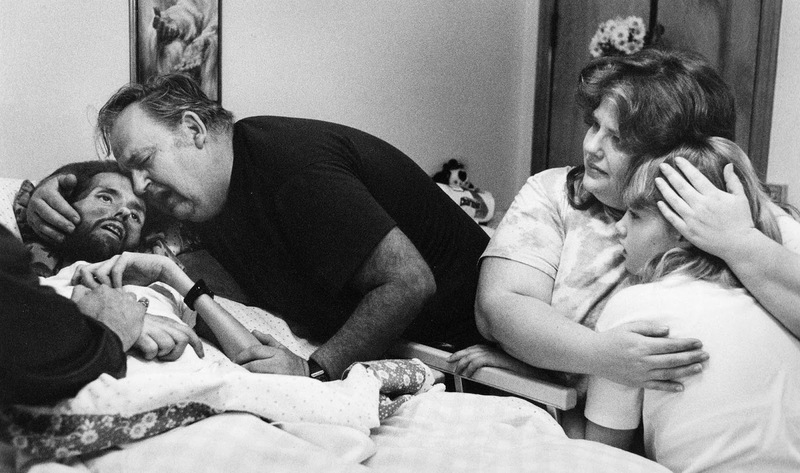 In November 1990 LIFE magazine published a photograph of a young man named David Kirby — his body wasted by AIDS, his gaze locked on something beyond this world — surrounded by anguished family members as he took his last breaths. 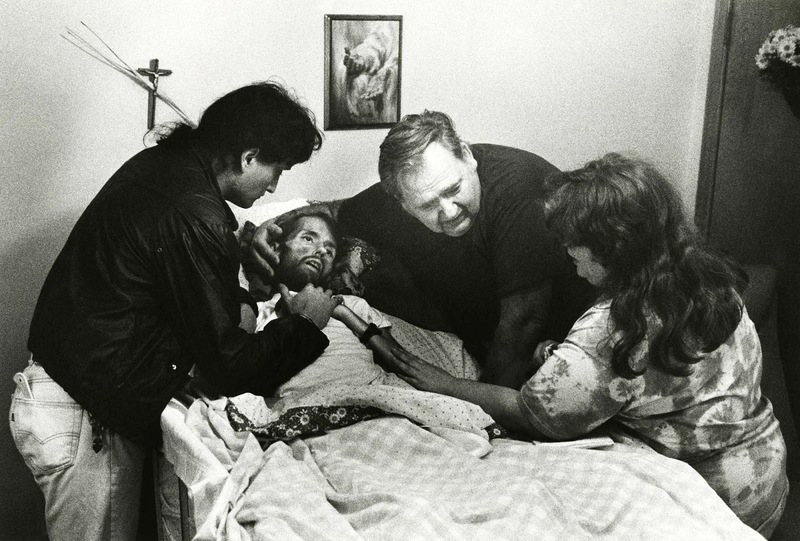 The haunting image of Kirby on his death-bed, taken by a journalism student named Therese Frare, quickly became the one photograph most powerfully identified with the HIV/AIDS epidemic that, by then, had seen millions of people infected (many of them unknowingly) around the globe. David Kirby was born and raised in a small town in Ohio. A gay activist in the 1980s, he learned in the late 1980s — while he was living in California and estranged from his family — that he had contracted HIV. He got in touch with his parents and asked if he could come home; he wanted, he said, to die with his family around him. The Kirbys welcomed their son back. After a three-year struggle against AIDS and its social stigmas, David Kirby could fight no longer. On the day David died, I was visiting Peta (one of David’s caretakers in Pater Noster House). Some of the staff came to get Peta so he could be with David, and he took me with him. I stayed outside David’s room, minding my own business, when David’s mom came out and told me that the family wanted me to photograph people saying their final goodbyes. I went in and stood quietly in the corner, barely moving, watching and photographing the scene. Afterwards I knew, I absolutely knew, that something truly incredible had unfolded in that room, right in front of me. Early on, I asked David if he minded me taking pictures, and he said, ‘That’s fine, as long as it’s not for personal profit.’ To this day I don’t take any money for the picture. But David was an activist, and he wanted to get the word out there about how devastating AIDS was to families and communities. Honestly, I think he was a lot more in tune with how important these photos might become. His sister shows a picture of young David Kirby. When published by LIFE, the image shocked the national conscience in the United States with its graphic imagery. While the public knew that AIDS was deadly, many only knew of its effects in the abstract. AIDS was still thought to be a “gay” disease and much of the populace was relatively uninformed about the effects of the illness. The image also helped the greater public to connect to the family’s grief at losing their son. The original caption on LIFE magazine: After a three-year struggle against AIDS and its social stigmas, David Kirby could fight no longer. As his father, sister and niece stood by in anguish, the 32-year-old founder and leader of the Stafford, Ohio, AIDS Foundation felt his life slipping away. David whispered: “I’m ready”, took a last labored breath, then succumbed. 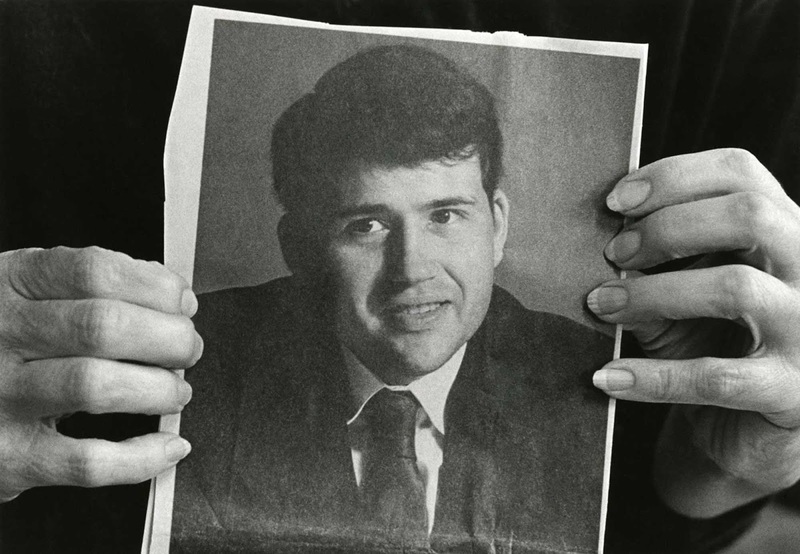 David Kirby died in April 1990, only 32 years old, seven months before the photo was published. By some estimates, as many as one billion people have seen the now-iconic Frare photograph that appeared in LIFE, as it was reproduced in hundreds of newspaper, magazine and TV stories — all over the world — focusing on the photo itself and (increasingly) on the controversies that surrounded it. David Kirby died in April 1990, only 32 years old, seven months before the photo was published. Photo credit: Therese Frare / LIFE Magazine. Text credit: Rare Historical Photos. Included in Vox Populi with permission. Truly a beautiful story behind the photo. What love that dying scene captures! The photographer should be proud of not having profited from this historic work. This entry was posted on November 8, 2018 by Vox Populi in Art and Cinema, Health and Nutrition, Opinion Leaders, Social Justice and tagged A father comforts his son on his deathbed. The photograph that changed the face of AIDS (1989), AIDS/HIV, HIV/AIDS, LGBT equality, LGBTQ, Masters of Photography, Therese Frare.